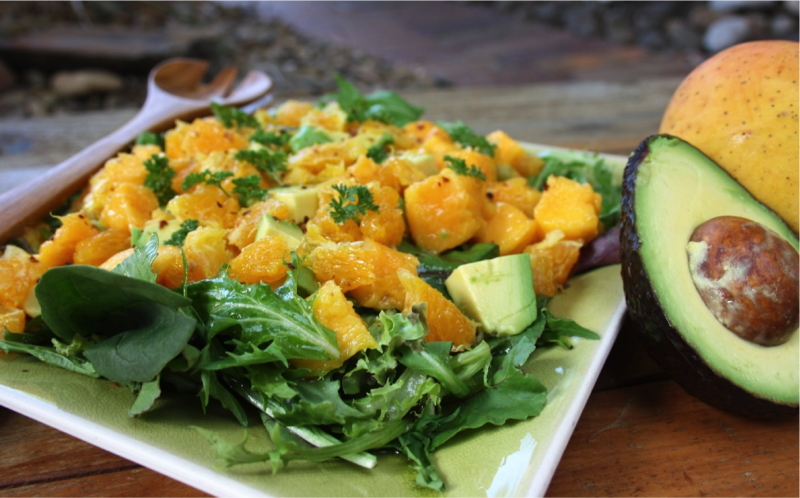 Segment the orange, cube the mango and cut the avocado into chunks. Place the green leafy salad mix onto your serving plate and layer the other ingredients on top, gently lifting them through. Mix all the dressing ingredients together well and drizzle over the salad. Sprinkle a few torn parsley/coriander leaves over the top for garnish. Sprinkle the dried garlic for the final touch. Quick, easy and tasty salad to enjoy.